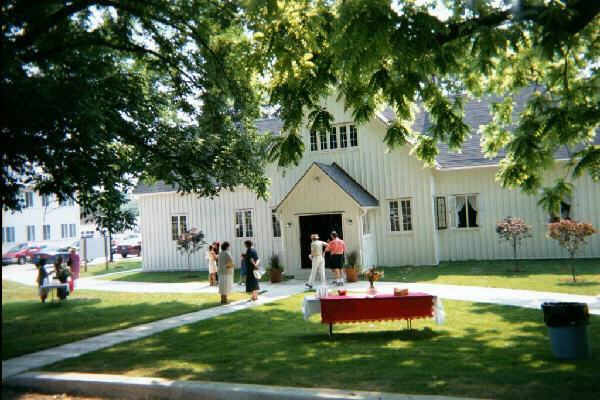 On Sunday June 2, 2002, the Rev. 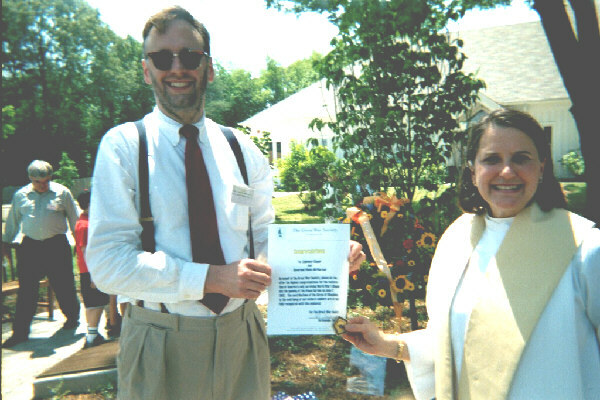 Phebe L. McPherson, rector of Epiphany Church, the only remaining American First World War chapel, hosted the dedication of a Peace Garden. 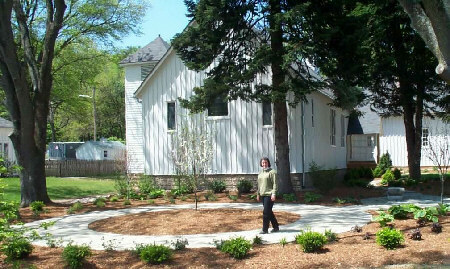 Bronze plaques donated by Hardesty Funeral Home and Memorials, Inc. with the names of all WWI chaplains (2,929), a meditation book and benches located under shade trees complete the design by Homestead Gardens. 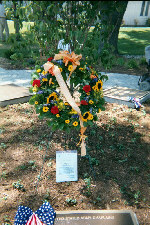 Great War Society Member Jim Moeller represented the organization at the dedication. On behalf of the membership, he presented a letter of congratulations signed by President Sal Compagno and a floral wreath. 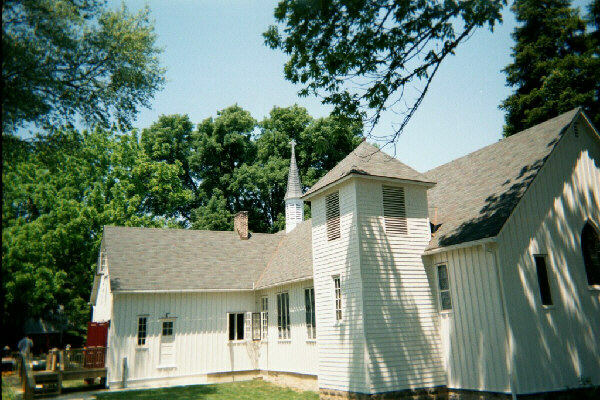 More than 100,000 men and women passed through what was then Camp Meade on their way to the trenches in France. Many of them found solace, comfort and some social life at Epiphany. 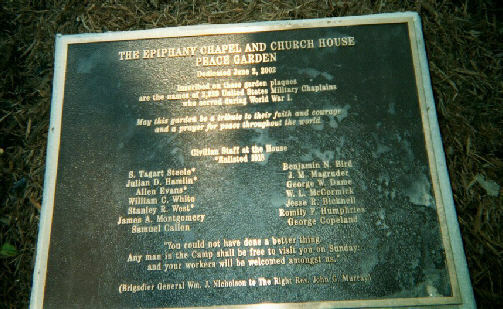 The name of each chaplain who served at Epiphany Chapel, along with the names of every WW I chaplain, will be included on bronze plaques laid on the garden path. Among the 2,929 WWI Chaplains were 2,765 Army Chaplains, 164 Navy Chaplains, 108 African American Chaplains, and 25 Rabbis.